Saving a single penny is what everyone makes happy so as it does to us too. And, thinking the same for our designer and developer community, why not we let the same for them also. With the same buzz in mind, we are happy to present our weekly DEAL SERIES; we aim to bring the best deals out there in front of you, which help you save money. 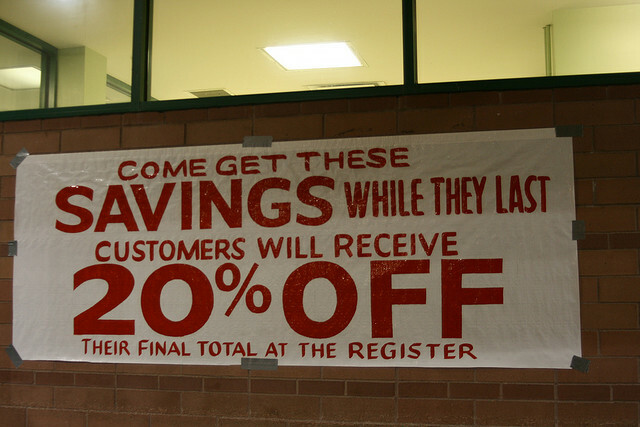 Enjoy SAVING!!! Note: Do you have a great product or service for creative professionals? Have an amazing deal to share? Then contact us today and grab more details on how to submit your deal to us. Contact us today. Ultimatum 2.5: The Ultimate WordPress Theme Builder – from $35! Vector Mania! 4400 vectors – only $49! 250+ Creative Photo Overlays to Enhance Your Images – only $29! Up to 2,000 Stock Images + 500 Vectors from $47! 3 WooCommerce Themes from Tokokoo – only $19! Choose ANY 2 Themify Themes only $19! 1000+ Royalty Free Vectors + 50 Free Textures – only $17! 40 Fantastic Landing Pages PSD Templates – only $17! Gorgeous Premium WordPress Theme Bundle – only $19! 20 Premium Bootstrap Templates from Flashmint – only $19! 10 Premium Responsive Bootstrap Templates – only $10! 32+ Responsive WordPress Themes from WP Triumph – only $27! 10 One-Page Bootstrap Themes from DX Themes – only $10! 22 Quality Bootstrap 3.0. Themes from Bootstraptor – only $27! 10 Fresh Responsive WordPress Themes – only $19! WordPress Shortcodes Plugin + 3 Premium WP Themes – only $19! Lucky Orange: Real Time Analytics Tool – 60% off! The Ultimate Unique Photoshop Action Bundle – only $12! WordPress Advertising Plugin – only $24! SlickGallery: An Elegant Photo Gallery Script – only $14! 2000+ Royalty Free Stock Images – only $27! Massive Infographic Bundle (100+ templates) – only $27! Ingimage: Choose Among 2 Million Stock Images – from $15! SmartyLogo: A full Year of Design Templates + Logos – only $17! Vandelay Web & Responsive Design Kit: 400+ Elements – only $27! The Ultimate Designer Toolkit: Over 60,000 Designer Items, only $49! Over 500 Colorful Christmas Illustrations – only $17! 6,500+ Vectors + 1,000 Photoshop Brushes – 91% off! 20 Fantastic Ready to Print Retro Templates – only $24! 1,500+ John Forsythe’s Professional Photoshop Text Effects – only $19! Bundle Storm: The Bundle of Bundles – only $47! 500 Stock Photos with No Background – only $29! 100 Colorful Grunge Textures from Florin Gorgan – only $12! 50 High-Quality Texture Backgrounds – only $10! 80,000 Gradients & 15,000 Photoshop Layers – only $15! The Ultimate Mobile Design Resource Bundle – only $29! Business Card Bundle: 33 Stylish Templates – only $27! 250 High-Resolution Textures with Extended License – only $19! 700+ Professional Web Backgrounds – only $29! Logo Bundle: 50 Customizable Logo Templates – only $29! 1,600+ Awesome Photoshop Presets – only $27! 250+ High-Quality Photoshop Backgrounds & Textures – only $29! 3200+ Royalty Free Vectors – only $37! Photoshop Graphics Bundle – only $39! 1,000 High-Quality Professional Stock Images – only $37! 700 Photoshop Resources – only $49! Over 500 Textures with Extended Royalty License – only $27! 18,000 Photoshop Layer Styles – only $18! 400 Web Backgrounds – only $29! 180 background-free images + 250 Stock images – only $27!